AfricAid | Mentor Girls. Develop Leaders. Transform Communities. MENTOR GIRLS. DEVELOP LEADERS. TRANSFORM COMMUNITIES. 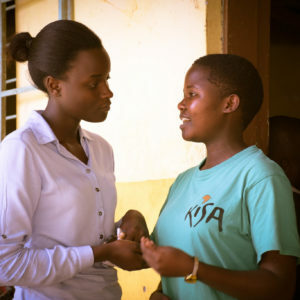 AfricAid mentors secondary school girls to complete their education, develop into confident leaders, and transform their own lives and their communities. Binti Shupavu increases graduation rates for vulnerable girls. Kisa Project prepares girls to create positive social change in their communities. You can help girls overcome challenges and reach their full potential.